"Leftover Pinks" Assorted beads leftover from other projects. Measuring about 12-13mm each. Price: $8 for the strand of 8 beads. "Leftover Greens" A set of 12 assorted beads done in discs, diamond shape, tube and round cake beads. These beads are done transparent and opaque colors. These guys need a new home! Price: $10 for the set of 12 beads. "More Leftovers" And we have more green beads! 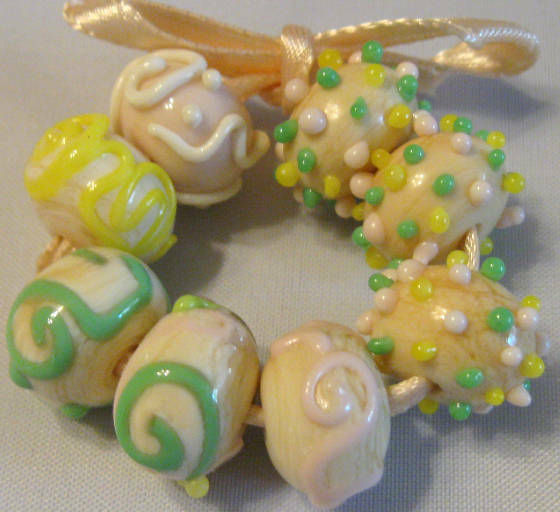 A set of opaque and transparent green cake beads. Just in time for St. Patrick's Day. Price: $10 for the set of 12 beads. 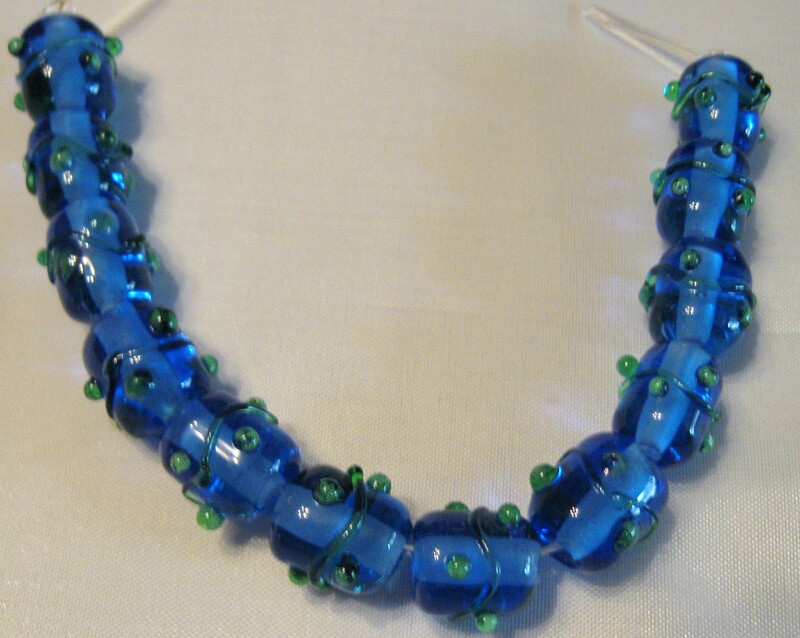 "Wrong Blues" Transparent medium blue base tube beads with transparent green decorations. The beads measure about 8-10mm . I have two strands of these beads. There are 12 beads on each strand. Price: $10 per strand.